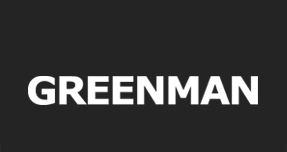 Greenman Machinery (Group Holding) Company is a shareholder run enterprise and integral provider of R&D, Manufacture, and Sales. Under Greenman, there are two manufacture facilities and over one hundred sales outlets across China. Greenman is headquartered in Capital Airport Industry Zone C, Shunyi District of Beijing, China. Greenman Group holds fast to corporate culture of "Integrity and Commitment, Strive with Innovation and Ingenuity, Progress in Spirit of Unity", adheres to service motto of "Be friends with Greenman, Be free of worries". Greenman is a strong promoter of "Service Generates Value". Nearly two decades of construction of complete sales and service coverage and excellent footprint of growth enables Greenman Group to achieve long term strategic cooperation with world top 500 enterprises such as Deere & Company of USA and other leading manufacturers, which leads to continued introduction of world advance lawn and garden products, landscaping and turf care equipment into China. Meanwhile, Greenman Group dedicates and allocates resources into independent intellectual property R&D on lawn and garden products and landscaping and turfcare equipment. Greenman Group R&D Center is an Enterprise owned Technology Center certified by Beijing Municipal Authorities. Trade Mark "GREENMAN" wins award of Beijing City Famous Brand Name. he broad range of Greenman carried products include lawn and garden power products, landscaping and turfcare equipment, turf irrigation systems and equipment, garden tools and allied supplies, off-highway electrical vehicles, forest firefighting equipment, large size chippers, tree transplanting machinery, and etc. First batch of wholly owned subsidiaries were incorporated in cities including: Dalian, Harbin, Wuhan, and Xi’an. Sole distributorship of MTD Outdoor Power Products was secured. A team of research and development was formed to conduct small scale study on lawn and garden machinery. Secured sole distributorship from Hunter Irrigation of USA. Awarded with sole distributorship of Deere & Company’s turf care equipment. Jiangsu Factory was established, and small quantity production of lawn mowers commenced. Expansion of Jiangsu Factory completed and put into production of large quantity of lawn mowers. No. 1 workshop of Beijing Factory of Greenman Complex was built. Corporate Greenman moved into the complex which is situated in Airport Industry Zone C.
R&D on off-highway electrical vehicles began. Greenman trademark recognized as “Beijing Municipal Famous Brand”. No. 2 Workshop started construction within Greenman Complex. Independent R&D on Fully Automatic Constant Pressure. Frequency Variation Pump Station Units began and Production and Sales of such units initiated. Greenman Group Holding (Hong Kong) was registered. Greenman Group Beijing Tech Center was certified by both Beijing Municipal Science and Technology Commission, and Beijing Municipal Economic and Information Commission as Municipal Level Enterprise Technology Center. The company went through complete share merger restructure and reform. Tenth Year Anniversary of John Deere and Greenman was staged in the Grand Banquet Hall of National Convention Center. “Next Ten Years Strategic Cooperation Framework Agreement” was signatured by delegates from both Greenman Group and Deere & Company. Greenman Group was enrolled with the Credit Evaluation conducted by China Forestry Machinery Association, and was awarded with the highest Triple-A credit line. GREENMAN badged off-highway electrical vehicles produced through Greenman’s own R&D rolled out into the market. Greenman's south area began construction. Morbark company and Greenman Machniery company signed a cooperate contract . The governor of the state of Michigan Mr.Rick Snyder and other goverment workers jioned the ceremony.